Modern meets nature ..... 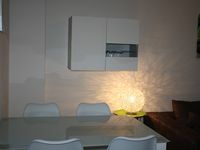 Newly renovated our "idipfele" shines for "YOU"
Property 17: Modern meets nature ..... Newly renovated our "idipfele" shines for "YOU"
Stuttgart center and yet views of the countryside! Property 49: Stuttgart center and yet views of the countryside! It was a very clean, spacious and beautiful apartment for my family and I. Mr. Stoll was very helpful and communicated well with us. We&rsquo;d return again for sure.